Passed away peacefully on Thursday 21st March 2019. Dearly loved Wife of Bill (dec’d). Loved Aunt of Jean, Beverley, Judith, Kevin, Brian, James, Aileen, and Dennis, and cherished Great Aunt. Loved Sister of Carrie, Jean, Bae, and Bill (all dec'd) and loved by all their families. 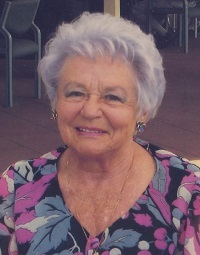 Family and Friends are warmly invited to attend Aileen’s Funeral Service to be held at St John's Catholic Church, Mullumbimby, on Friday 29th March 2019, at 2.30 pm. After the service, the cortege will leave for the Mullumbimby Lawn Cemetery.